New investments coming up for the goldsmith company MASSIMO RAITERI and its heart, still completely family-owned. 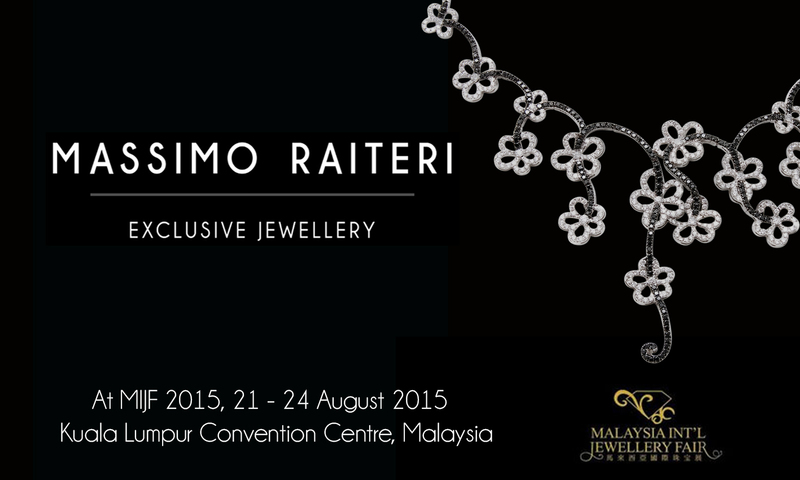 Also this year at small Asian tour MASSIMO RAITERI will add a new point on its map, the Malaysia International Jewellery Fair. The event will take place at the Convention Centre of the great city of Kuala Lumpur, from the 21th to the 24th of August. All the collections signed MASSIMO RAITERI will be visible at the booth H05 from 11:00am to 7:00pm, created by Pico Art International Pte Ltd in collaboration with the Raiteri family’s designers.